Jon Haloin (jrhaloin@ucdavis.edu) – Predators as selective agents on plant defense traits in Mimulus gutatus and eco-evolutionary feedbacks in natural systems. Jay Sexton (jpsexton@ucdavis.edu)– Asst. Professor UC Merced . My research explores the contexts, time scales, and patterns of adaptations within and between varied landscapes and taxa. My dissertation examined the Sierran endemic, Mimulus laciniatus, an annual plant, to understand 1) the evolutionary potential of populations to tolerate different climates and 2) the role of gene flow on climate adaptations across the species range. Replicate populations across a strong elevation gradient are being examined in common gardens approximating current and warmer Sierran climates. Estimates of molecular variation among and within populations were obtained to understand these adaptive responses in the context of gene flow. 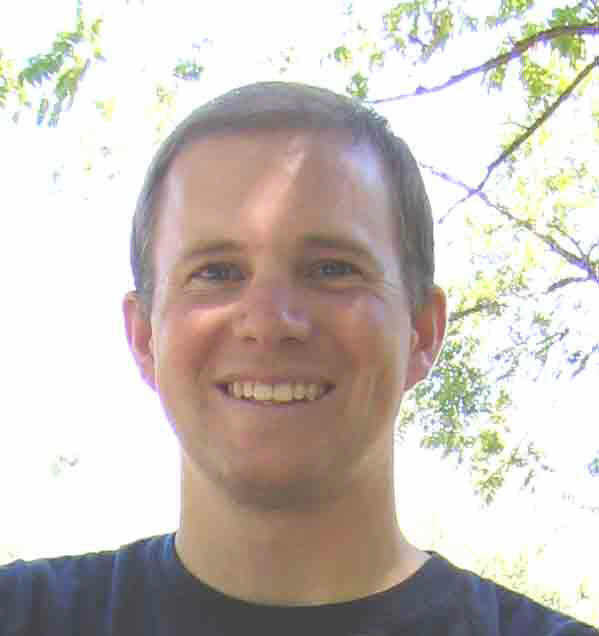 Patrick McIntyre (pjmcintyre@ucdavis.edu)- Scientist , California Dept of Fish and Wildlife. studying plant distributions and global change. Read more here. Also, I am interested in adaptation in changing environments. In particular, I am investigating how polyploidy may affect the ability of plants to adapt to changing environments, using the Claytonia perfoliata polyploid complex to investigate the basis of wider ecological tolerances characteristic of polyploid versus diploid populations within this group. I am also studying how polyploidy and hybridization affect the evolution of plant-arthropod interactions. Adrianna Muir – Adriana is living in Washington DC, working for the Dept of State and is interested in environmental policy. Richard Lankau– Assistant Professor at University of Wisconsin, Madison. 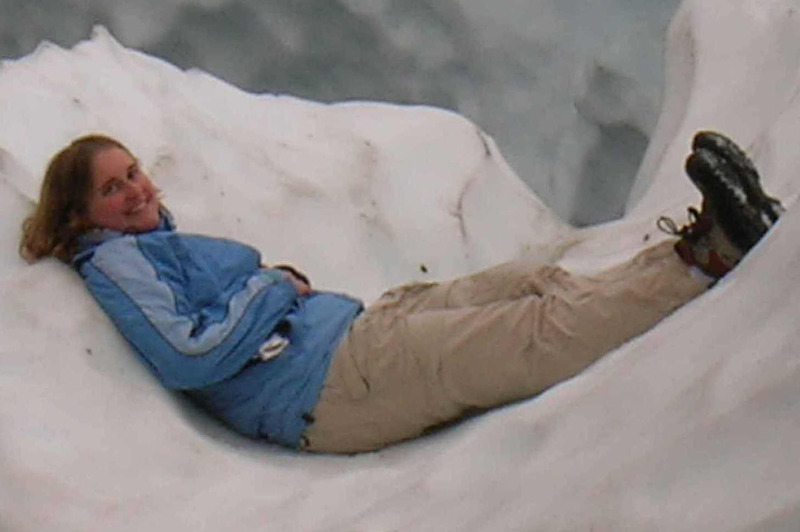 http://www.plantpath.wisc.edu/users/rlankau I am broadly interested in the intersection of ecology and evolution, specifically how microevolutionary change within populations affects theecology and dynamics of those populations and the communities in which theyare embedded. For my thesis research, I studied the interactions between black mustard (Brassica nigra), its primary secondary compound (sinigrin),and its herbivores and competitors. I found that the composition of thesurrounding plant community played a large role in determining theselective value of the chemical trait, with higher levels favored whenindividuals grew with other plant species, but lower levels favored when they grew with conspecifics. Additionally, plants with high sinigrin levels reduced the fitness of three competitor species growing nearby, but neighboring conspecifics were unaffected. A large scale patch experiment, combined with an individual based model, showed that the differences in competive ability of high and low sinigrin plants allowed for the simultaneous maintenance of genetic diversity in singrin concentrations and species diversity of competitors. Thus the maintenance of diversity at one biological scale may depend crucially on the level of diversity at other scales. Kari Lehtila – University of Stockholm, Dept. of Botany, Faculty. 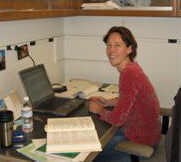 Alison Bennett-Faculty member at Scottish Crop Research Institute at Dundee, Scotland. My research seeks to describe how interactions between species create the complex communities we see in nature. However, what interests me most is the intersection of multiple interactions, particularly mutualistic and antagonistic interactions. While my research spans several trophic levels, I have primarily focused on the central role plant interactions with arbuscular mycorrhizal fungi (AMF) (arguably the most important and numerous positive interaction in nature) play in higher order interactions and community function. In particular, I focus on how interactions with AMF alter interactions between plants and herbivores, pollinators, and plant competitors in a wide variety of systems. With the Strauss lab, I am currently examining how AMF alter interactions between native plants and an invasive plant competitor, a late flowering composite and its pollinators, the role of AMF in local adaptation to serpentine soils, and variation in invasive grass responses to AMF infection. Jean Burns-Assoc. Professor. Case Western Reserve University. Burns website My primary research interest explores the integration of increasing levels of biological organization in influencing species distributions, a central question in ecology. I address these questions using invasive species as model systems, because introduction of species to a new habitat is an unintentional experiment that allows us to assess factors limiting species distributions. My research has primarily focused on understanding what traits are associated with the introduction and success of exotic species, the role of environment in determining the relationships between traits and invasiveness, and the relationships among demography, environment, and invasiveness. To address these questions, it is necessary to compare invasive species with less successful introduced species. 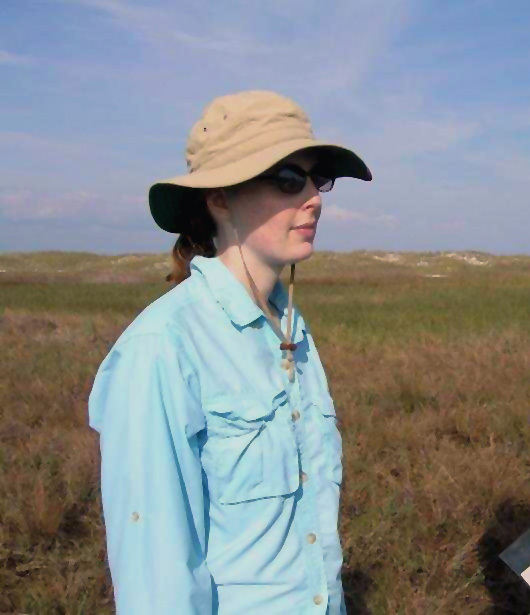 My research is novel because I compare native, introduced noninvasive, and introduced invasive plants to evaluate mechanisms for successful invasion at multiple levels of biological organization, from species traits, to population demography, dispersal ecology, and community assembly. Mirka Macel– Post-doc at NIOO, Netherlands. I am interested in the ecology and evolution of plant – insect interactions and plant – soil biota interactions. Plant secondary chemistry plays a key role in these interactions. Concentration and composition of plant chemistry often differs between individual plants within a population and also between plant populations. What is driving and maintaining this variation? My current research focuses on the genetic variation in plant secondary chemistry and the selection exerted by soil biota and insects on plant chemistry. I aim to explore how various players in complex multi-trophic interactions influence each other and how this affects selection on plant chemistry. To address these questions I am using Brassica nigra and two closely related mint species (Pogogynesp.). Justen Whittall– Professor at Santa Clara University. The central goal of my research program is to understand the process of speciation and adaptation. How repeatable is evolution? Is adaptive speciation directional? Irreversible? What are the relative roles of ecological and molecular constraints during adaptation and ecological speciation? What is the molecular basis for convergent adaptations? To address these questions I use a combination of molecular phylogenetics, comparative methods, quantitative genetics, and expression analysis of candidate genes. Using this interdisciplinary approach, I have developed a phylogeny for the columbine adaptive radiation (Aquilegia; Ranunculaceae) which led to the discovery of directional patterns of ecological speciation through pollinator shifts and habitat diversification (with Scott Hodges-Ph.D. advisor-University of California Santa Barbara). After discovering a surprising degree of phenotypic convergence in parallel adaptations to hawkmoth pollination in the columbines (with Scott Hodges-Ph.D. advisor), I undertook a research project to determine the degree of molecular convergence during parallel losses of floral anthocyanins (work done in collaboration with Scott Hodges and Claudia Voelckel). I also have a range of interests that span evolutionary fields and taxonomic groups. My post-doctoral research with Mike Sanderson (now University of Arizona), Sharon Strauss (UC Davis) and Maureen Stanton (UC Davis), I am developing several research projects in comparative biology focusing on the role of opportunity and constraint that guides directionality during adaptive evolution. This research draws from a diversity of taxa, but is focused on the evolution of flower colors and serpentine tolerance.